With a range of sessions and styles available, it’s easy to find your fit. Studio sessions at Aligned for Life Pilates incorporate a range of traditional Joseph Pilates inspired apparatus. Our instructors provide an attentive and supportive environment and will challenge you while helping you focus on correct technique and postural alignment. Our Studio Pilates classes work for every body. With regular low-impact sessions everyday activities will become easier by improving your balance and posture. For more intensive activities like dancing or running, you will build strength and endurance. Whatever your goal, our studio Pilates classes will stimulate and reinvigorate your body and mind for increased physical health and mental wellbeing. Step into our studio and step up in life with a studio Pilates session. Get started with a one-on-one private session and assessment. Our group matwork classes are a fun and challenging way to experience the Pilates Method. These classes allow participants to enjoy continuous movement with uninterrupted flow, and are matched to your current level of ability. With beginner through to advanced levels, our group matwork classes cater to all ages and fitness levels. Take the step to a new, healthier you in body and mind and join a matwork class today. Movement is our medicine, and joining our senior citizens classes will be the first step towards feeling your body, not your age. These sessions are designed to increase your bone strength, lubricate the joints and help you take control of your body. 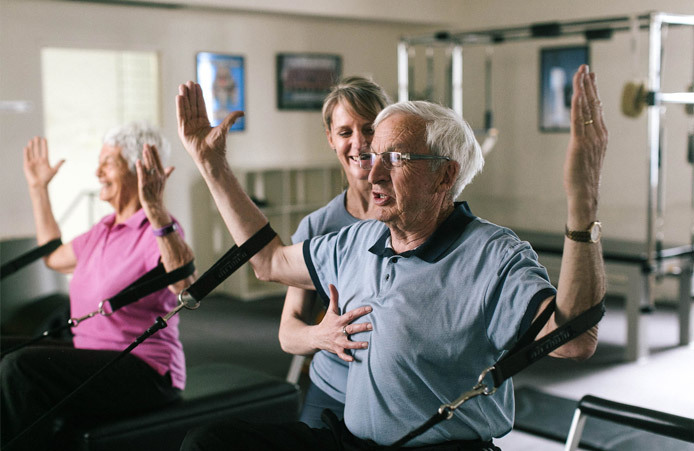 Pilates is our choice for the elderly. We have a phrase at Aligned for Life Pilates that we like to use: ‘You are only as young as your spine’. Which means, if we stop doing the simple things that the body is designed for then we age quickly. And that process is unstoppable. Our Pilates sessions reverse this cycle and give our seniors the gift of ‘movement for life’. Help niggling pains disappear and restore mobility, strength and balance. Trainee studio sessions offer you all the benefits of a personalized, equipment based studio session but at a very reduced cost. 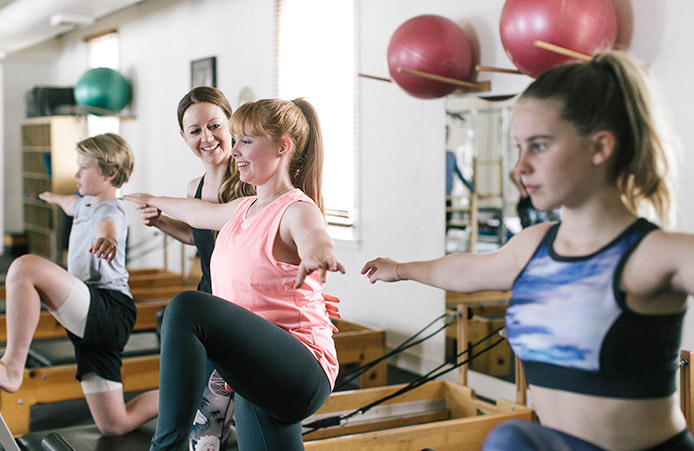 Aligned for Life Pilates trainee instructors are completing their Diploma of the Pilates Method with National Pilates Training and conduct their sessions alongside a fully qualified instructor. This provides a supportive environment for both the trainee instructor and the client. These sessions are suitable to clients who do not have any injuries or conditions that affect their ability to exercise. If you are unsure of your suitability, please contact your local studio. Our group reformer classes are intimate and intensely challenging with just six participants per class. After each 45 minute reformer class you will feel improved posture, increased balance and a fire in your ‘inner strength’ muscles. Even our new participants will notice an immediate difference. The reformer is a finely tuned machine with a sophisticated spring, rope and pulley system. We have hundreds of exercises ready to share with you that can be performed on this versatile machine aptly named the ‘Universal Reformer’. Fun classes using reformer, small apparatus and floor exercises. Stay active and build a strong, supple physique while you are expecting. Our bodies were not designed to spend long hours sitting in front of a computer. Today, four out of five people experience some form of pain related to long periods spent sitting at a desk. Our corporate health programs encourage and educate your people to take charge of their physical health and wellbeing while giving your staff a renewed zest for life. Our programs include desk based exercise programs, workplace risk assessments and group matwork sessions.